"The Providers" premieres April 8, 2019, on PBS. 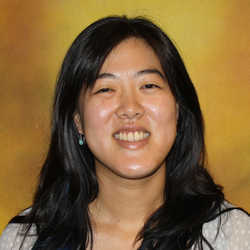 Rou-Jia Sung, Assistant Professor of Biology, has been awarded a National Science Foundation grant (#1841992) for her project, “Development of Novel Augmented Reality Tool for Teaching Molecular Visualization in Biochemistry.” Prof. Sung will work with coPI Dr. Andrew Wilson, Academic Technologist for Digital Scholarship, to develop a freely available AR-based application that can be installed on mobile smartphone and tablet devices and will contain virtual 3D objects representing the molecular structures of three fundamental molecules central to biochemistry, cell biology, molecular biology, and genetics curricula. Each molecule will be associated with a set of learning materials, developed by the project team, to facilitate use in the classroom. The three-year project involves 5 Carleton undergraduate researchers, Prof. Jane Liu at Pomona, and Prof. Thom Bussey and a graduate student at UCSD. Prof. Sung’s and Dr. Wilson’s application was recently covered the magazine The Scientist, which published a short article on its development and use so far.